Promontories that follow one another, a blue sea that takes your breath away. Suggestive villages, intense aromas. A wild nature, ancient traditions. Between Varazze and Andora, Riviera della Palme offers breathtaking views and unique experiences, to live during a green and environmentally friendly holiday. Follow us to discover this stretch of Liguria and discover all there is to do and see! Alassio is one of the most famous resorts of Riviera delle Palme and is the perfect combination of social life and relax. The village lies on a gentle bay, its historic center of cheerful alleys and fishermen’s houses extends to the sandy beach of 3 kilometers. 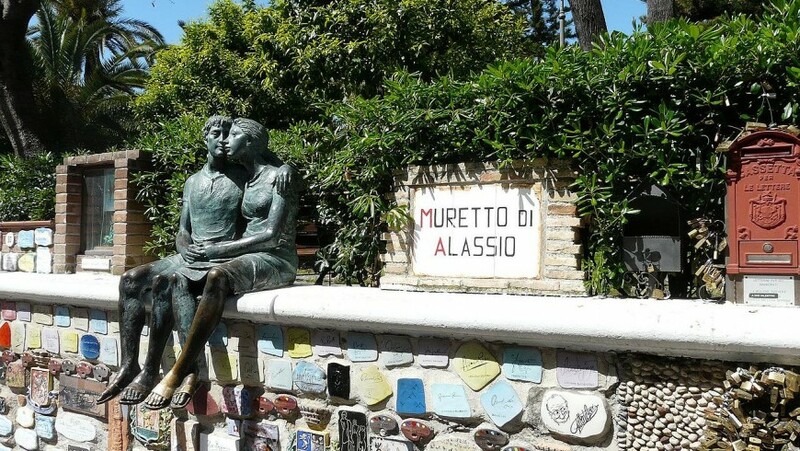 Symbol of Alassio is certainly its wall, a spontaneous monument that bears the mark of all the writers and artists who have found a small refuge in this corner of Liguria. There is the signature of Ernest Hemingway, that of Louis Armstrong, and also of Vittorio De Sica, Domenico Modugno and many others. 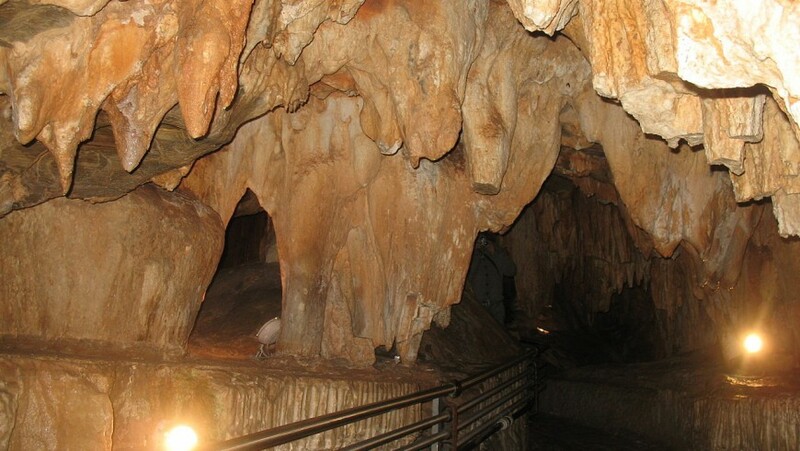 A few kilometers from the homonymous village there’s a complex of 150 karstic caves. 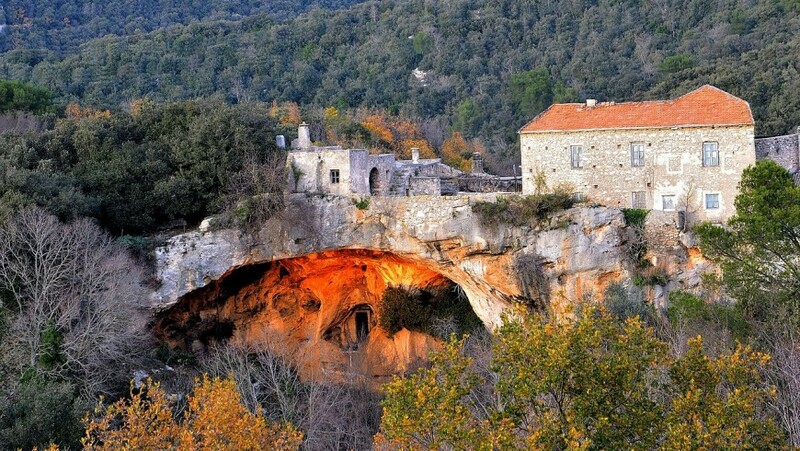 Those that can be visited are two, the cave of Bàsura and the one of Santa Lucia, and the landscape that opens up to those arriving here is difficult to describe. Stalactites and stalagmites of different shapes and sizes leave you breathless, and the important archaeological finds, with the bones of Ursus spelaeus and the Homo sapiens foot and hand footprints, tell the story of man and the Earth. One way to admire the beauty and the places of Riviera delle Palme, especially those of its hinterland, is on a bike. There are many routes in this area, the one we recommend will take you between alpine landscapes and limestone peaks. 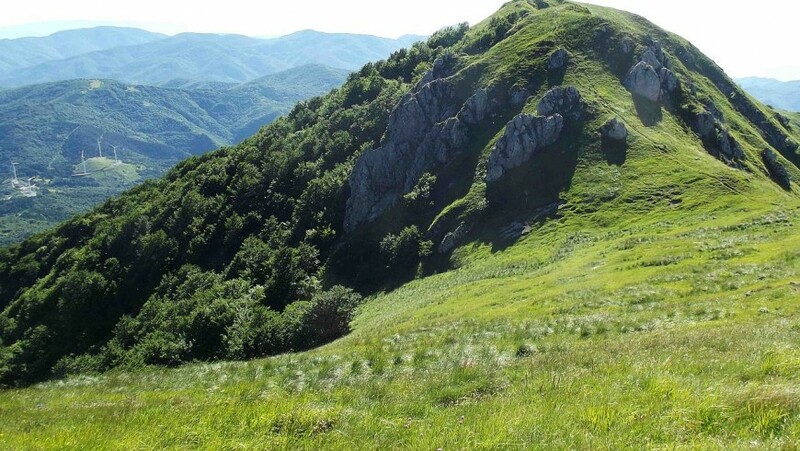 The trail starts from Vignolo, a hamlet in the municipality of Nasino, between woods and pastures, reaches the Prione hill and finally the summit of Mount Galero, at an altitude of 1708 meters. Among the cloisters of Santa Caterina, pearl of the medieval village of Finalborgo, the Finale Archaeological Museum awaits us. Through archaeological finds, scenic settings and reconstructions, the exhibition path, perfect also for children, allows you to retrace the history of this land, from Prehistory until today. 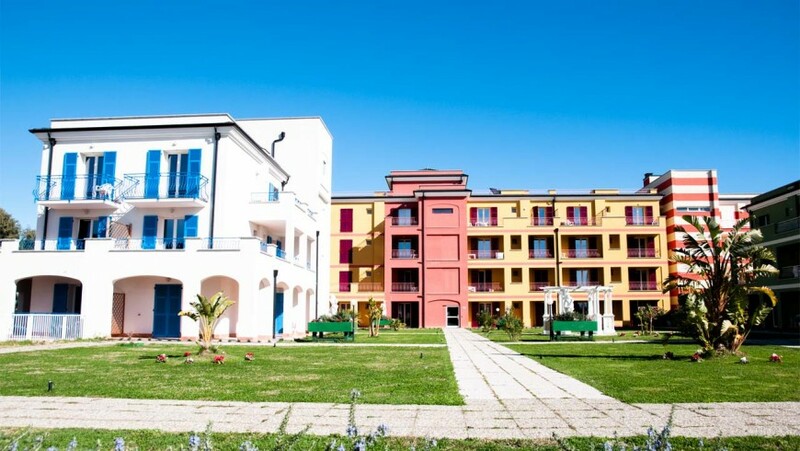 In Loano, in the heart of Rivera delle Palme, you will also find an eco-sustainable resort, built in green-architecture and with solar panels. Ai Pozzi Village & SPA is perfect for those who want to spend a holiday full of sport and wellness. In a green and peaceful setting, the property offers a large wellness center, but also a gym, sports fields and mountain bikes for hire. How many typical products and inimitable flavors gives us the Riviera delle Palme! Among the many things to taste there are the ciccirelli of Noli. From November to March, on the promenade and near the beach you will find the carts of the fishermen who sell them as soon as they are caught and offered in carpione or fried. And why not accompany these delicious fish with a glass of Pigato white wine? 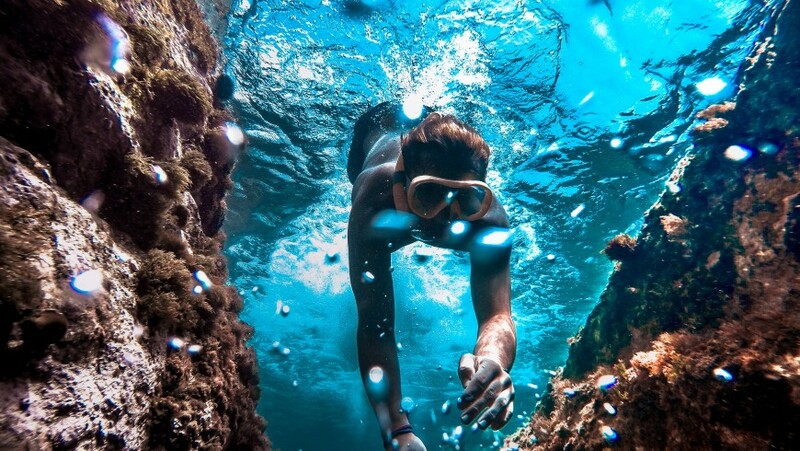 In Riviera del Ponente there are numerous diving centers that allow tourists to experience all the beauty of the sea, discovering beautiful seabed, encountering octopus and moray eels and admiring suggestive wrecks. The Manie plateau, which stretches between Finale and Spotorno, offers an incredible panorama. You can smell the Mediterranean vegetation, the vineyards and the olive trees stretch for kilometres, among the woods there are many caves, and in the background there is always it: the sea. The plateau is crossed by numerous paths, which can be traveled either on foot or by bicycle. 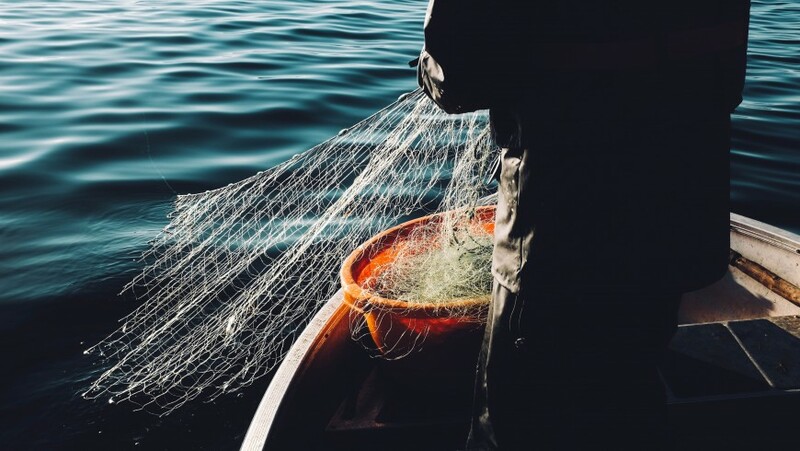 From mid-June to mid-September, expert fishermen will let you experience the world of fishing from the boat, in the beautiful waters in front of Bergeggi and Savona, both during the day and at night. You can fish some tasty fish, discover traditional techniques and learn to know and respect the sea so we’ll be able to live in the future. Colla Micheri is a village out of time, where you can breathe all the beauty of the hinterland of Riviera delle Palme. You can get there on foot from Laigueglia, following a paved road and an ancient mule track. And here it is, among the hills, with the sea below it. All in stone, between narrow alleys. It steals your heart and looks like an enchanted place, a fairytale village. This entry was posted in weekend and tagged bicycle, bike, diving, ecohotel, ecotourism, experience, green holiday, Italian villages, Italy, Liguria, nature, Riviera delle Palme, sea, slow travel, sustainable tourism, villages. Bookmark the permalink.